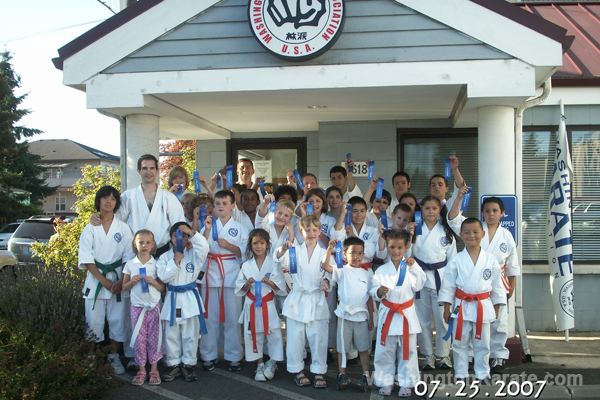 WASHINGTON KARATE in Greenwood, Seattle is seeking to add 2 Part-Time Van Drivers to its After School Program team. Minimum required hours for drivers are: M-F, 2:00-4:15 PM (Wed hours: 12:45 - 3:15 PM). Potential for up to 20 hrs / wk for drivers who can also be program assistants. Rate is $17/hr to start. Summers and public school holidays off. For more details or to apply for this position, call us at 206.784.3171 or send us a message with the subject "Jobs." Appropriate for karate and non-karate practitioners alike, ages 5-14 years old. Our highly-popular, week-long summer camps fill up quickly. The Washington Karate Summer Camps are weeklong, all-day Seattle camps with activities throughout the day, ranging from hikes and park visits to artistic and special martial arts activities. Hours are 8:30 AM – 6:00 PM. Children may enroll for multiple camps. Appropriate for adults. These seminars focus on the fundamentals of self-defense, including situational awareness, hands-on evasion tactics, defensive techniques, and self-defense scenarios. Introduction to self-defense workshop for women. The Washington Karate Association invites all karate competitors to participate in the 2017 IHSKF USA Karate Nationals & 49th WA State Intl. Karate Championships. 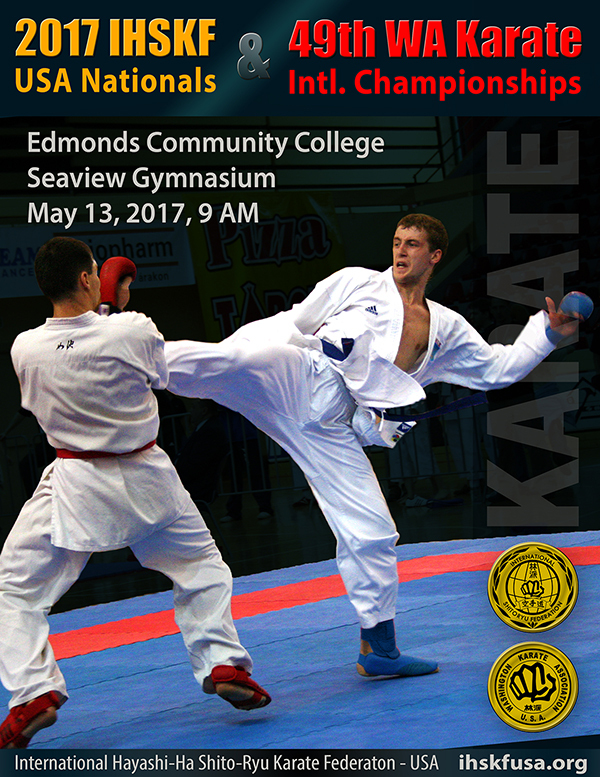 This Saturday, May 13th, at Edmonds Community College (Seaview Gymnasium). Doors open at 8:00 AM. Officials meeting at 8:15 AM. Tournament starts at 9:00 AM. Modified WKF rules will apply. General spectator admission fee is $5.00. Kids 5 & under are free.